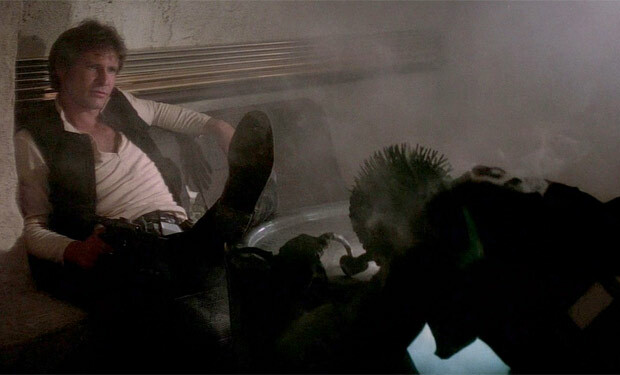 WATCH: Conan O’Brien answers Star Wars debate of who shot first: Han Solo or Greedo? 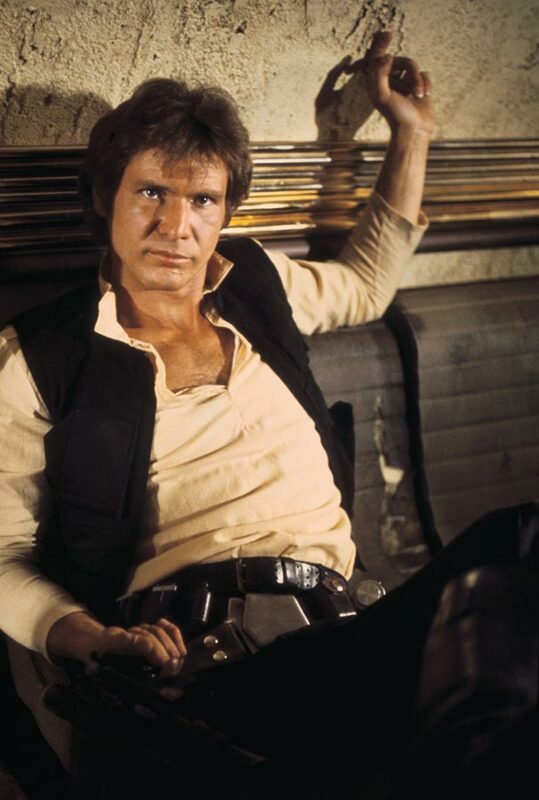 As Star Wars month goes full swing and everyone looks forward to the release of “The Force Awakens“, there’s been a long standing debate between fans over who exactly shot first – Han Solo or Greedo? The said scene occurs in Star Wars Episode IV: A New Hope, during the Cantina part of the film where Obi-Wan Kenobi, Luke Skywalker, and the droids C-3P0 and R2-D2 first meet Han Solo and Chewbacca, and along comes bounty hunter Greedo getting Han at gunpoint and aiming to get him, Dead or Alive, on behalf of a reward placed by Jabba The Hutt. Well, comedian and talk show host Conan O’ Brien pretty much has his own take on the sequence. Star Wars: The Force Awakens opens in theaters on December 17, 2015!